A parliamentary report of 1777 recorded Aylsham as having a workhouse for up to 80 inmates. The workhouse was built in 1776 in the angle between Commercial Road (now Bure Way) and New Road. At Aylsham, the poor-house is one of the best I have seen, and stands a lasting monument of the liberality and humanity of the gentlemen concerned. The situation most luxuriant; the buildings well-constructed; the rooms spacious and lofty, and well-ventilated, and remarkably clean; the diet very good, and the poor well attended to in every respect. The building was, however, demolished in 1842. 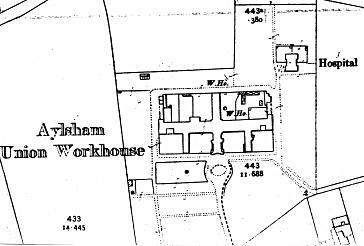 According to White's Directory of 1836, Foulsham had a workhouse which was "built on the waste in 1782, will accommodate 45, but seldom has more than 20 inmates." In 1792, ten years after the passing of Gilbert's Act, the Oulton Gilbert Union of six parishes (Banningham, Blickling, Colby, Erpingham, Itteringham, and Oulton) was formed. Its workhouse at Oulton, three-and-a-half miles to the north-west of Aylsham, was leased from Lady Sheffield and was originally a farmhouse and stood about a mile to the south-east of Oulton church, was converted from an old farmhouse at a cost of £1,100. Erpingham joined the union in 1806, Coleby in 1811, and Itteringham and Banningham in 1832, when the workhouse was enlarged at a cost of around £300 to hold up to 80 paupers. In 1801, the Buxton Gilbert Union of three parishes was set up. In 1806, because of certain restrictions in the Gilbert Act, a Buxton Incorporation of nine parishes (Brampton, Burgh St Mary, Buxton, Hevingham, Marsham, Oxnead, Skeyton, Stratton-Strawless, and Swanton-Abbot) was formed under a local act. Buxton, four miles to the south-east of Aylsham, had a workhouse in a building dating from before 1800. The building was located at the east side of Coltishall Road, about half a mile to the south-east of Buxton. Reepham had a workhouse which was also used by the parishes of Kerdiston, Hackford and Whitwell. Norfolk: Alby, Aylsham (2), Barningham, Belaugh, Blickling, Brampton, Burgh, Buxton, Calthorpe, Cawston, Colby, Coltishall, Corpusty, Erpingham, Foulsham, Great Hautbois, Guestwick, Hackford, Hevingham, Heydon, Hindolvestone, Ingworth, Irmingland, Itteringham, Lammas with Little Hautbois, Little Barningham, Mannington, Marsham, Oulton, Oxnead, Reepham with Kerdiston, Sall, Saxthorpe, Scottow, Skeyton, Stratton Strawless, Swanton Abbott, Themelthorpe, Thurning, Thwaite, Tuttington, Whitwell, Wickmere, Wolterton, Wood Dalling, Wood Norton. The population falling within the Union at the 1831 census had been 19,351 — ranging from Irmingland (population 16) to Aylsham itself (2,334). The average annual poor-rate expenditure for the period 1833-35 had been £20,391 or 21s.1d. per head. ..at Buxton Workhouse in this Union... I propose that Married men, Married women and Boys and Girls should be separately lodged in this house. The workhouse appears to me capable of accommodating 360 paupers... This workhouse is however inconveniently situated at one extremity of this long Union, and is fourteen miles distant from some of the parishes... I propose that the Oulton house should be employed for the reception - 1 - of Ablebodied men, and - 2 - of Ablebodied women... It would hold above 130... The Aylsham workhouse is fitted for the reception of Aged men, Aged women and Idiots. 2. 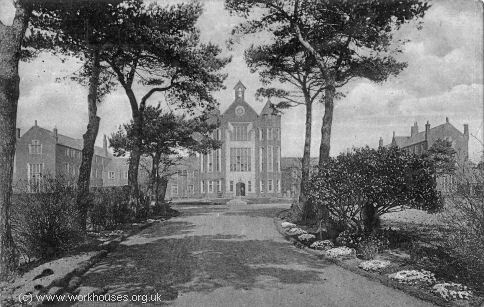 Oulton Workhouse. That no persons be received into this workhouse for more than one night, excepting ablebodied single men, and ablebodied single women, but that ablebodied married paupers and their children passing from the most distant parishes in the Eynsford district for the union, to the Buxton workhouse, may, if so ordered by the Board of Guardians, be lodged for one night in the probationary wards of this House on their way to the Buxton Workhouse, but for one night in each case only, and never unless ordered by the Board of Guardians. The Union Workhouses are at Buxton and Oulton... That at Buxton has room for about 400 paupers, and that at Oulton for about 100. Only the aged and infirm are sent to the latter, where the average weekly cost of each inmate, for food and clothing, is 2s 11.; but at Buxton it is 2s. 0½d. 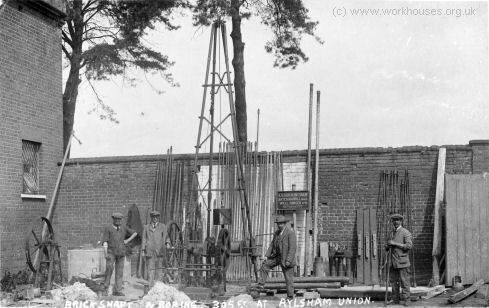 In 1848-9, a new workhouse for up to 600 inmates was built at Aylsham, situated to the west of the town. It cost approximately £7,500 and was designed by William J Donthorn who was the architect of other Norfolk workhouses at Downham, Erpingham, Freebridge Lynn, and Swaffham. Aylsham's broadly cruciform layout can be seen on the 1906 OS map, which also shows a later hospital to the north-east. Aylsham from the south-west, c.1910. The three-storey central wing to the south has an impressive facade of mullioned windows. Aylsham from the south-east, 2005. Aylsham from the south-west, 2005. 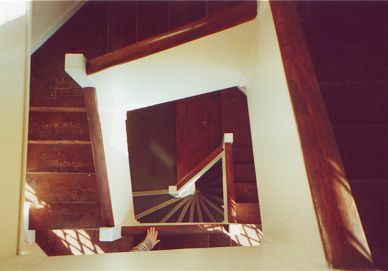 The south wing has a number of turrets containing staircases. 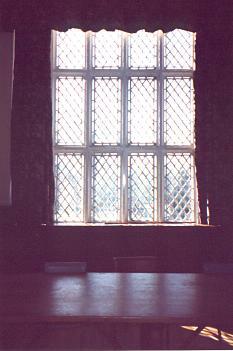 On the first floor of the south wing was located the Guardian's board-room. 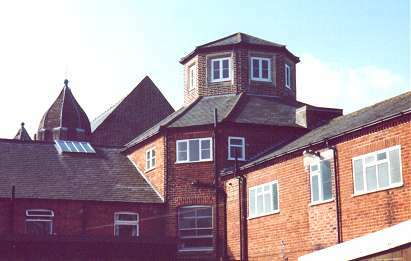 The main two-storey range is built around an octagonal hub. 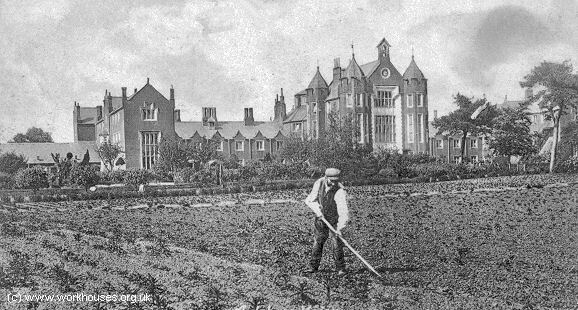 In 1894, the British Medical Journal set up a "commission" to investigate conditions in provincial workhouses and their infirmaries. 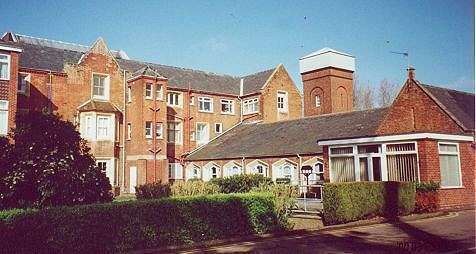 Following a visit to Aylsham, the commission's report had relatively few complaints about conditions in the institution, apart from some fairly modest improvements that were required in the lying-in ward and children's nursery. Further details are available in the full report. A 1923 view shows an Artesian well being dug at the rear of the workhouse by the firm of FH Buckingham of Hethersett. 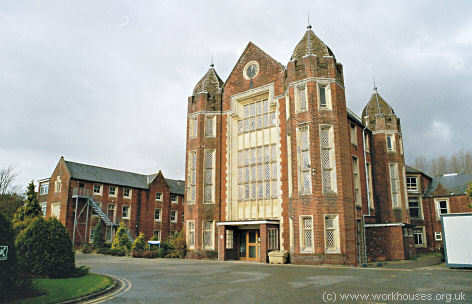 The workhouse was redesignated as a Public Assistance Institution in 1930, then becoming St Michael's Hospital, latterly specialising in geriatric care. 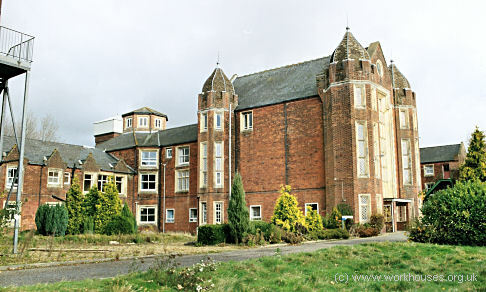 The main building is now (2005) disused. Aylsham from the south, 1960s. 1844 - Buxton workhouse master: Thomas Potter; Oulton workhouse master: EF Barnaby. Norfolk Record Office, The Archive Centre, Martineau Lane, Norwich NR1 2DQ. Holdings include: Guardians' minute books (1836-1930); Births (1849-1944); Deaths (1849-91, 1914-40); Burials (1857-1903); Casuals (1879-1931); etc.